In celebration of Earth Month Total Beauty is giving away one fabulous gift basket from Target's new One Bath and Body line every week! 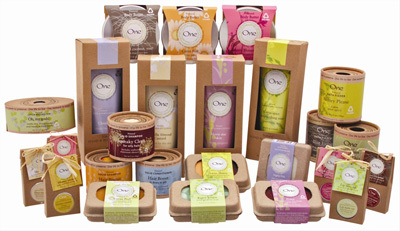 Each basket contains $100 worth of soaps, body scrubs, loofas and more. They'll make you think you died and went to bath heaven. Head on over to their Facebook page to enter to win. Good luck!